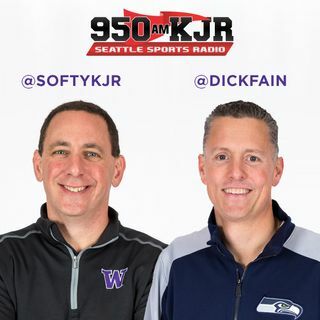 We've got more sound from KJ Wright's chat with Cliff and Puck earlier today, and audio from before the season where he said he showed up to camp instead of holding out because he wanted to be there. Does he deserve credit for showing up, or is he just doing what he's obligated to do? We know he'll be declaring free agency, but he could be back. Should the Hawks try to re-sign him, or should they let him go? The Dawgs are in Utah tonight after beating the Cougs last weekend. ... See More Mike Hopkins joins us before the game to update us on the team.